Are Google Chrome Users Smarter than IE Users? 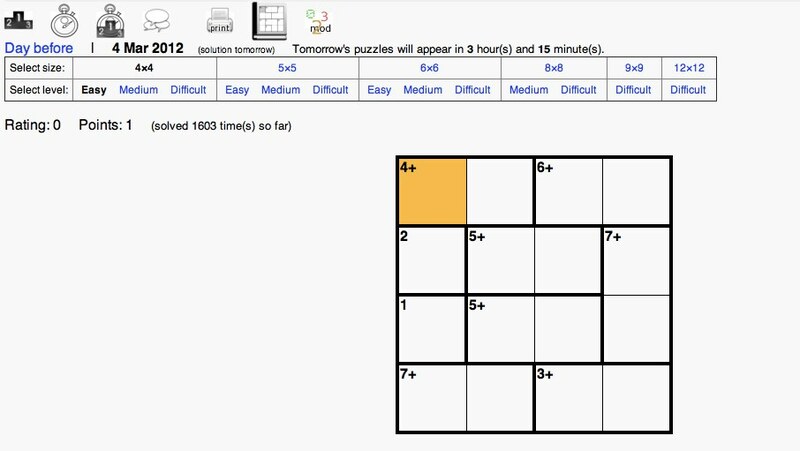 According to the number puzzle website Calcudoku, Chrome users appear to have the highest level of numerical intelligence when it comes to solving the puzzles on its site. 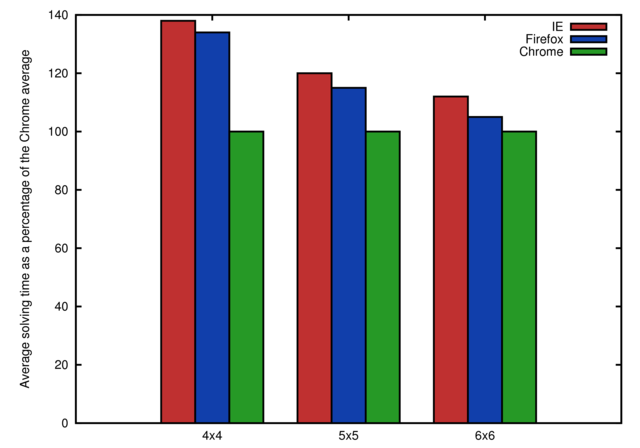 The company recently published a study based on 2010 and 2011 usage data and parsed it by the browser of choice by its players. Firefox users came in second place with Internet Explorer in third. There wasn’t enough Safari data to drop them into the mix. Not only were Internet Explorers the slowest number puzzle solvers, they were also more likely to give up on the problems than Chrome or Firefox users. These differences were found to be statistically significant (p = 5%). 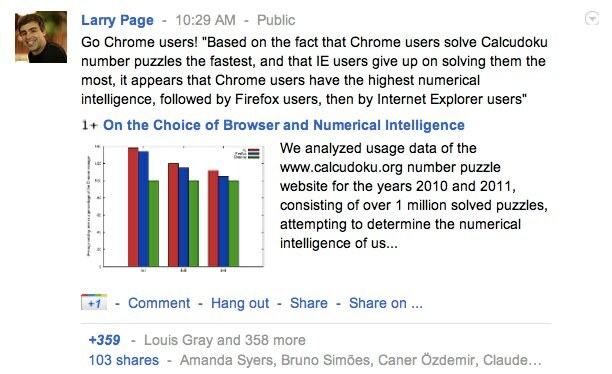 Based on the fact that Chrome users solve Calcudoku number puzzles the fastest, and that IE users give up on solving them the most, it appears that Chrome users have the highest numerical intelligence, followed by Firefox users, then by Internet Explorer users. Note that it does not follow that using Chrome makes you smarter, for example (“correlation does not imply causation”). Also, we can only speculate about the causes of the differences: perhaps Chrome is the browser of choice for more technically inclined people, who tend to have better number skills. And maybe because IE is the default browser for Windows, people who do not choose a different browser possibly are less technically skilled. 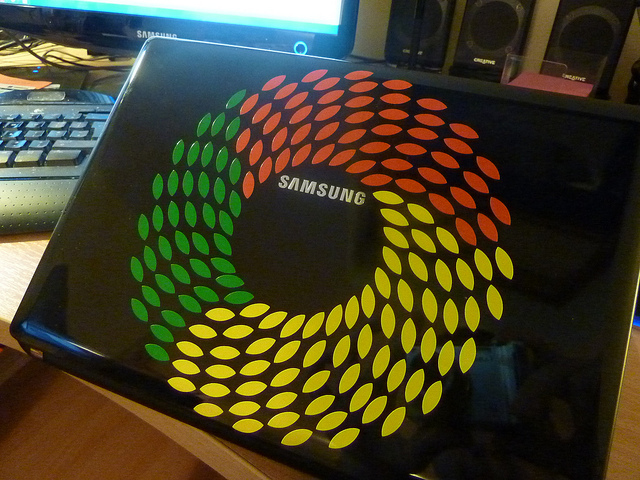 All of this probably just means that Google Chrome users are number nerds. Or that everyone who uses Calcudoku’s site works at Google.